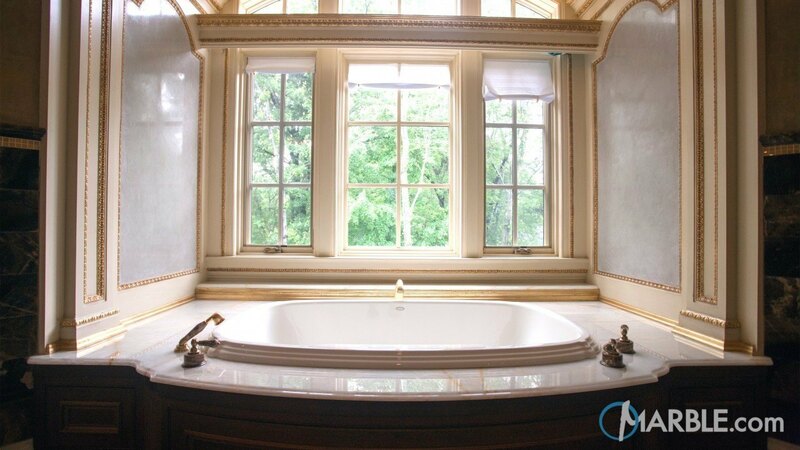 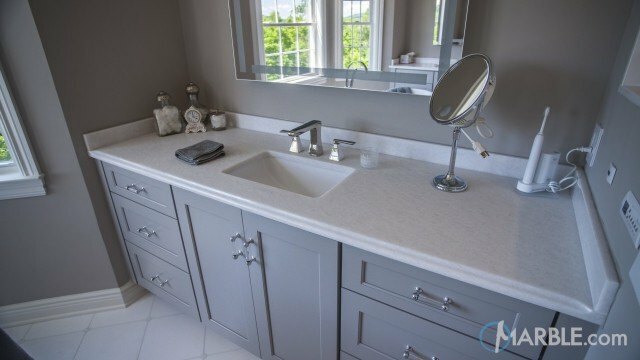 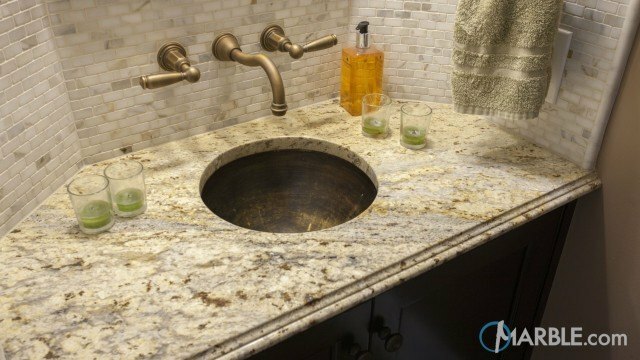 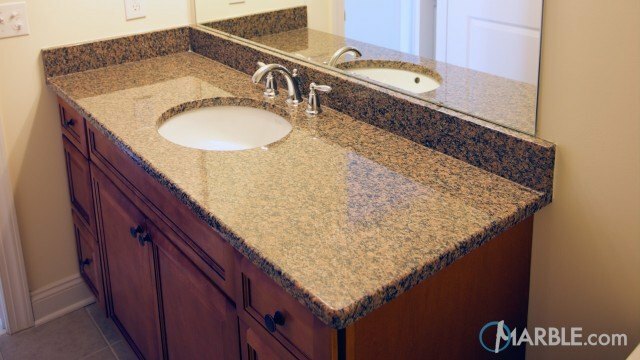 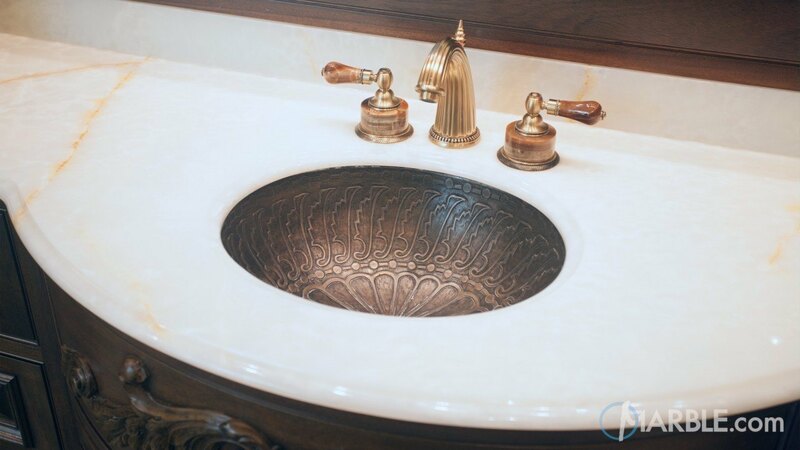 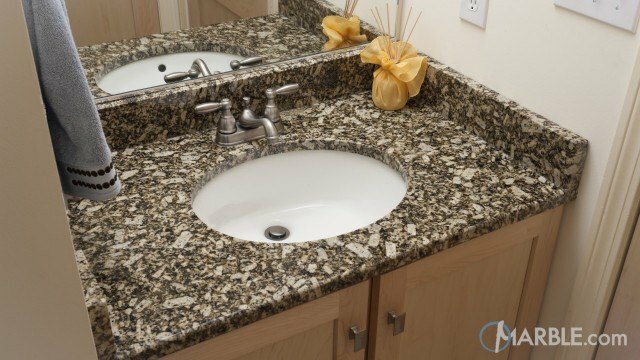 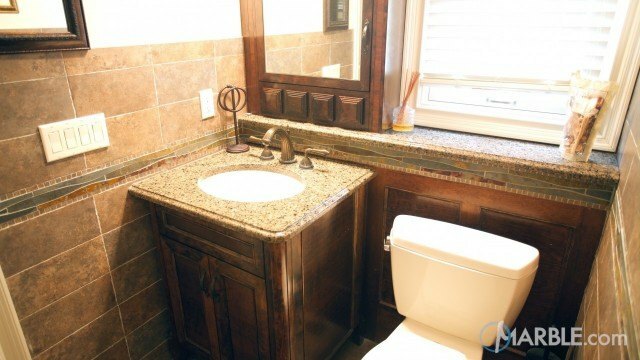 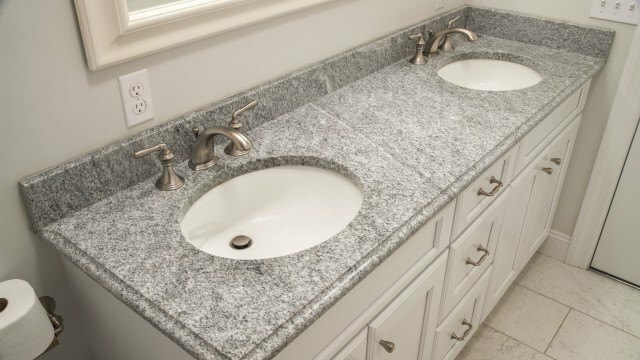 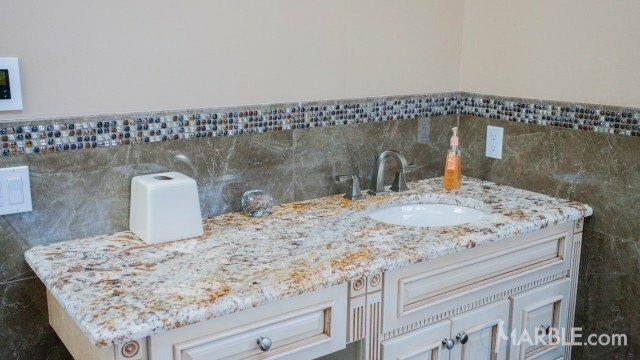 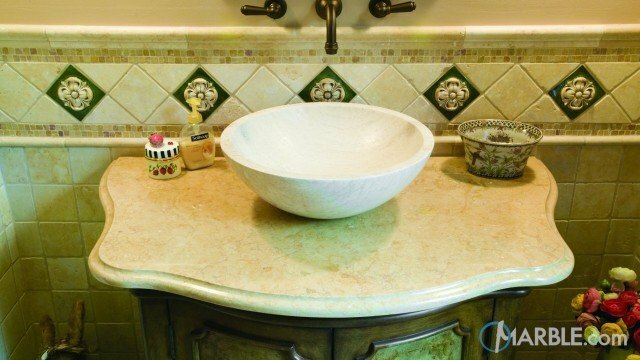 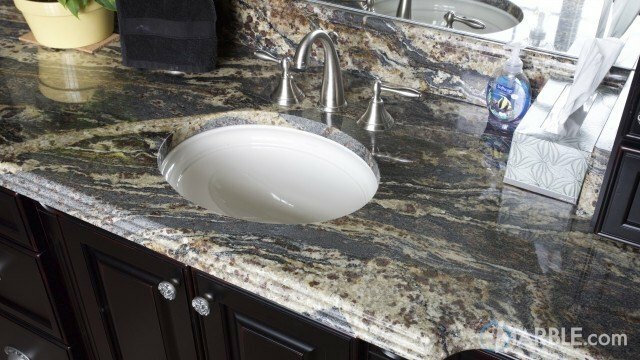 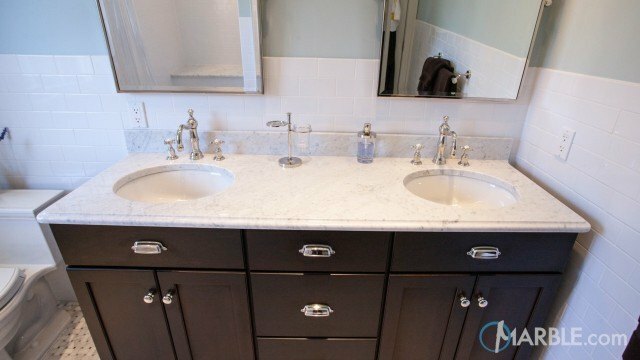 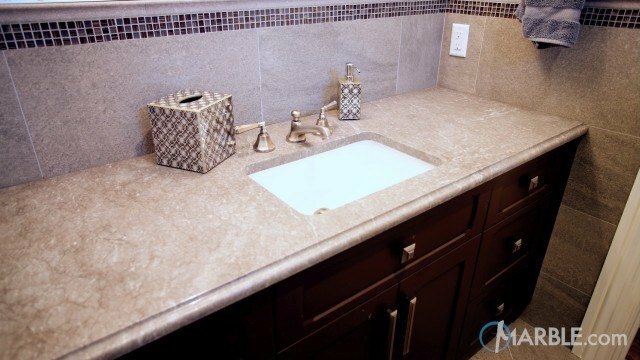 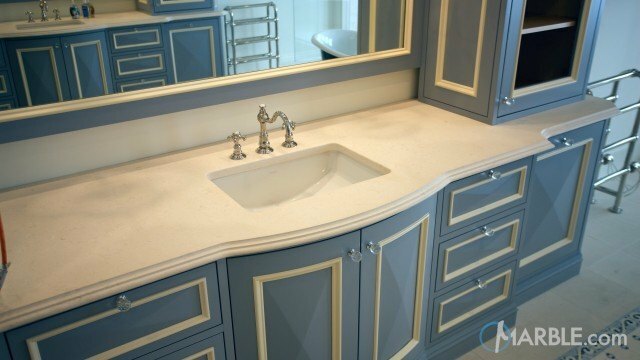 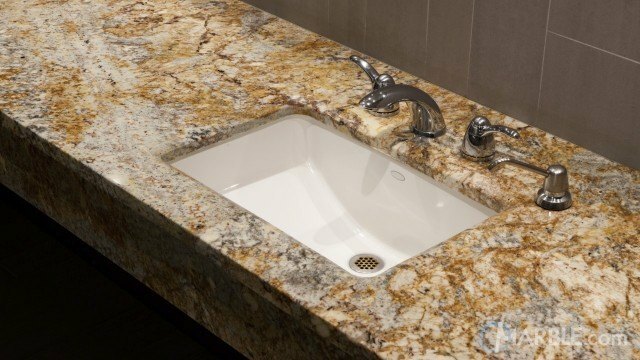 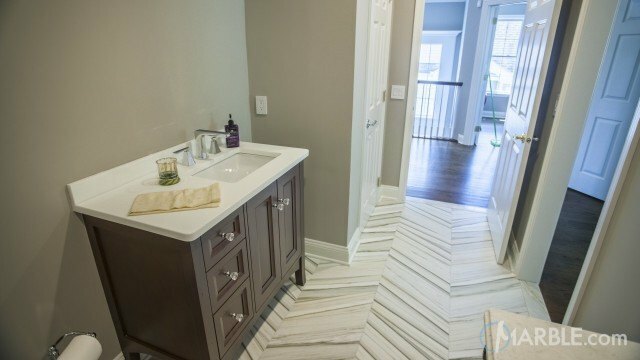 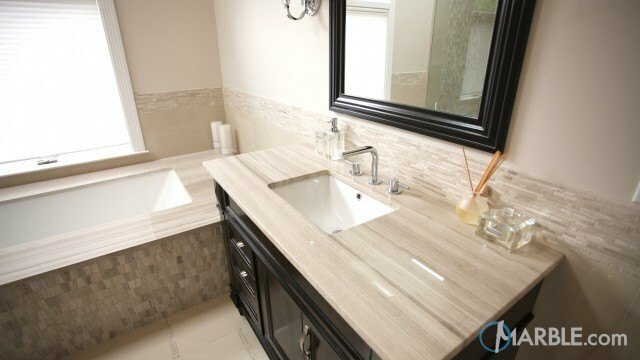 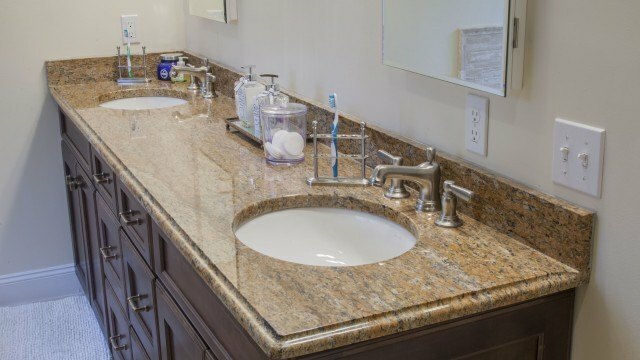 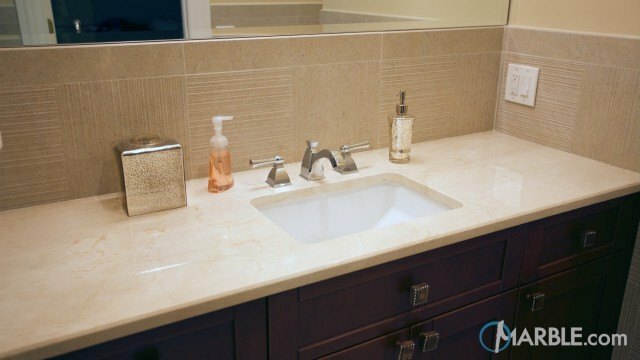 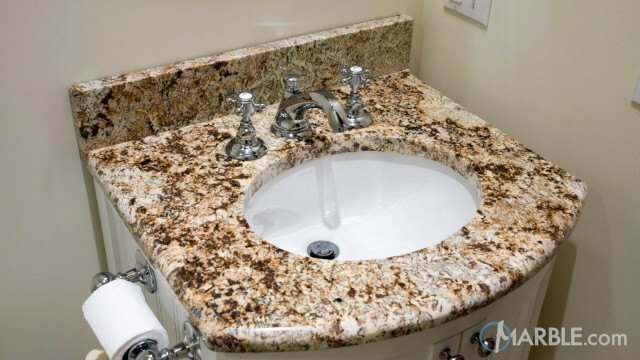 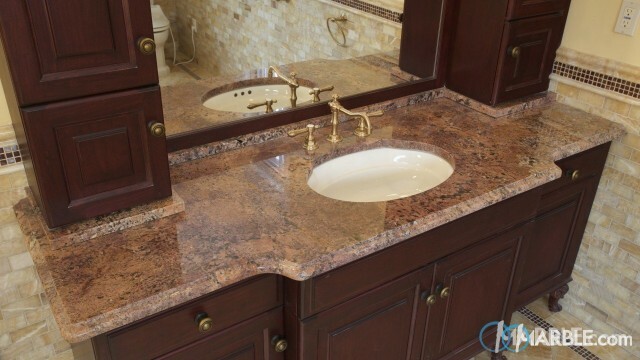 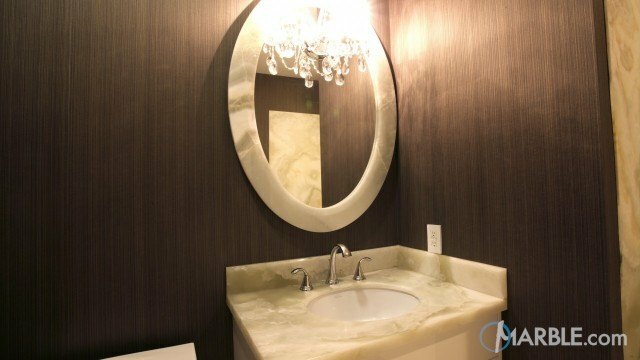 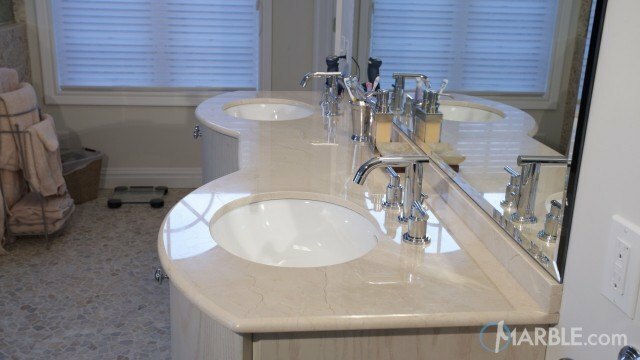 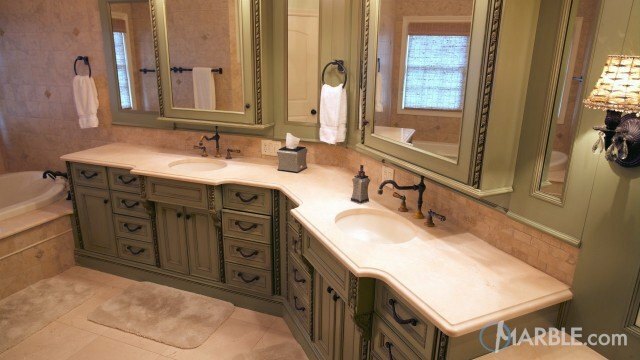 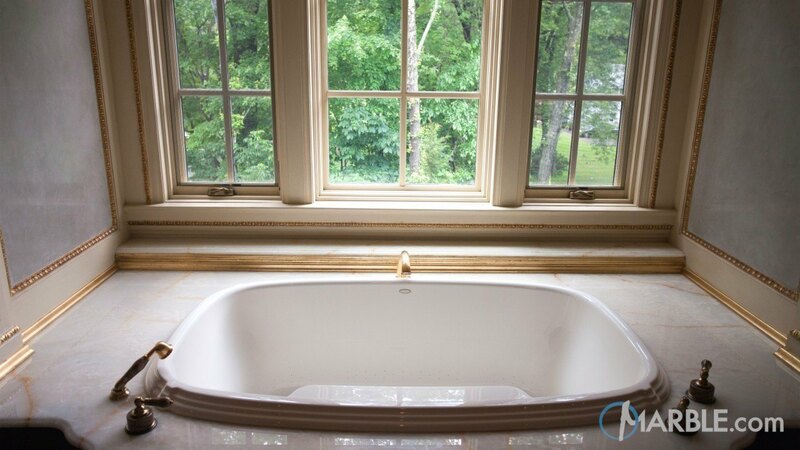 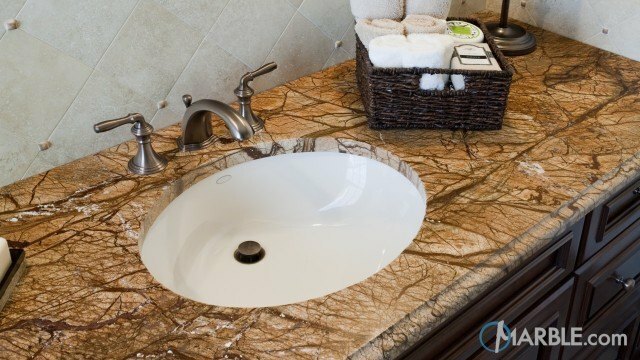 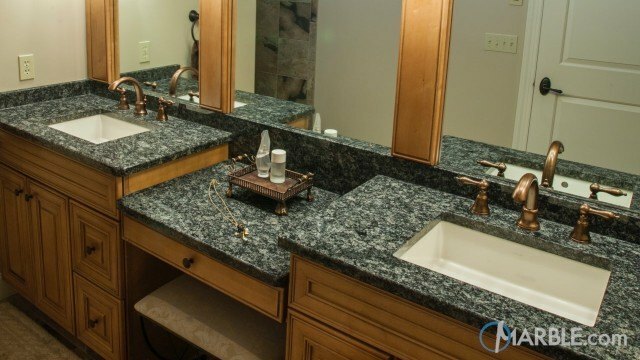 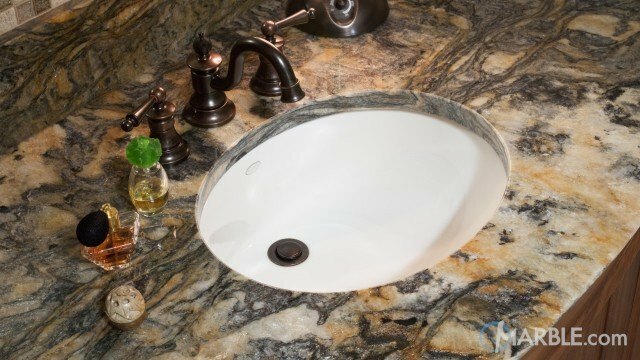 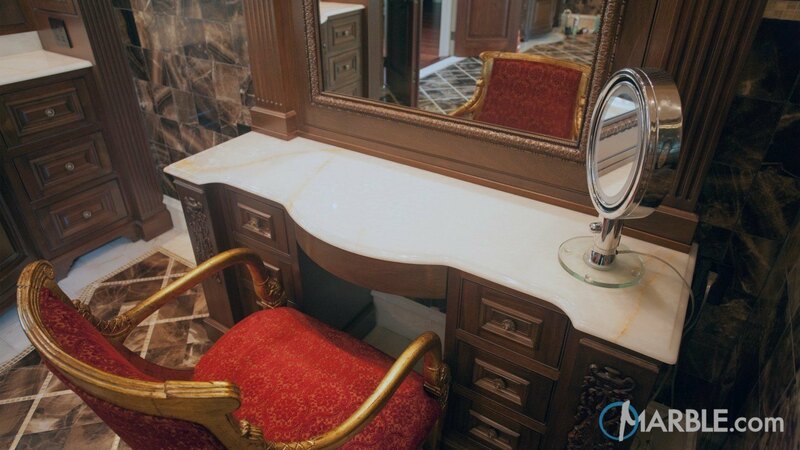 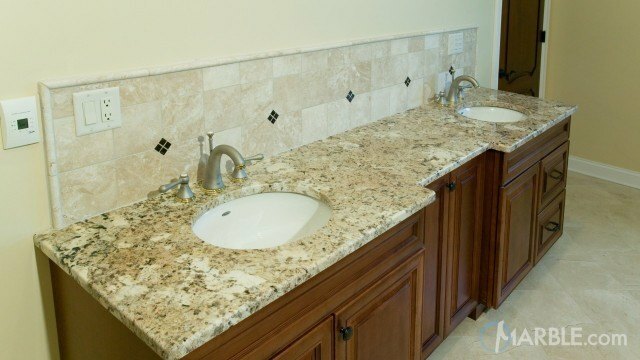 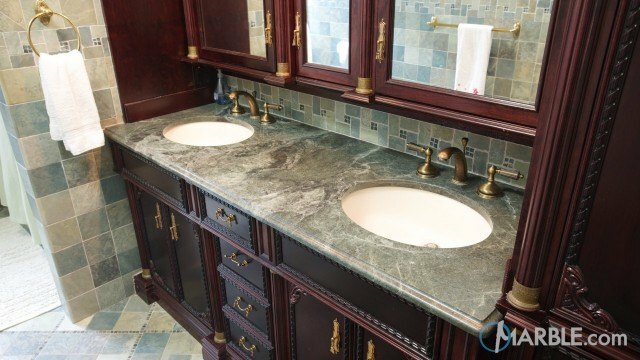 The dramatic gold line running through the White Pistachio Onyx counter top with an Ogee Edge adds distinction to this bathroom vanity. 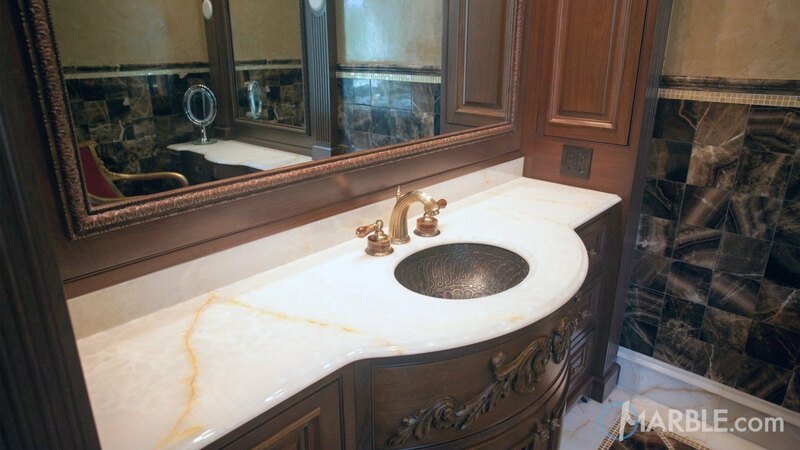 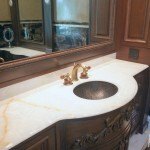 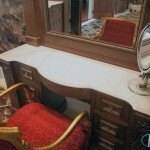 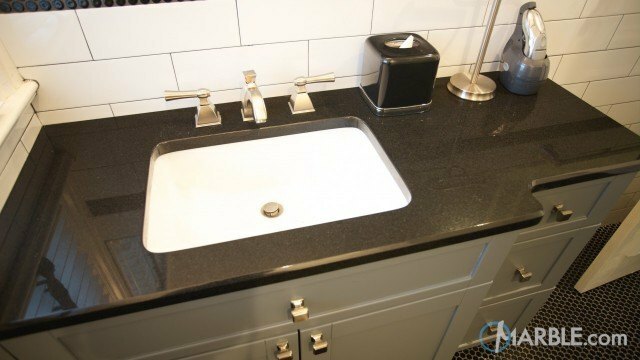 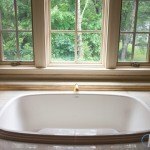 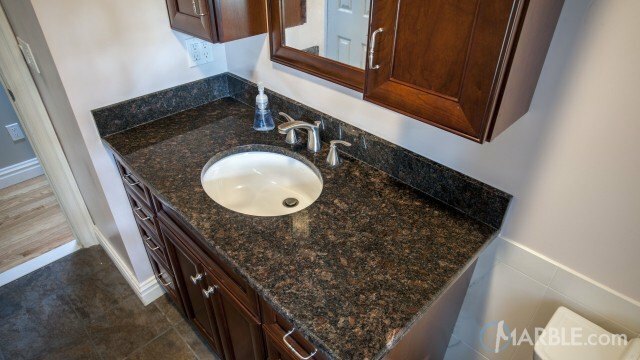 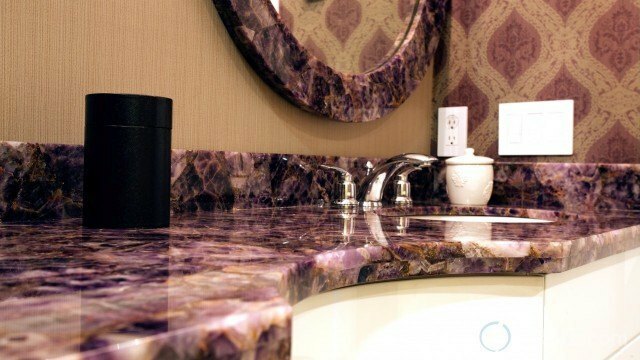 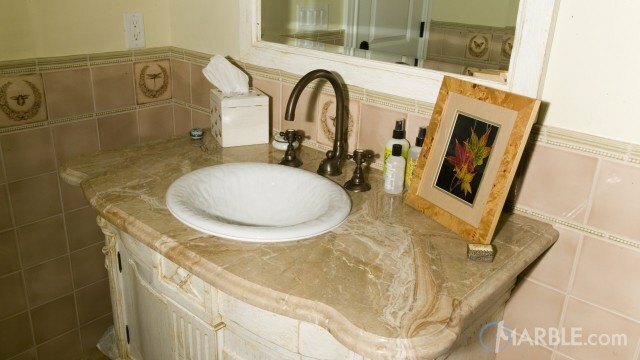 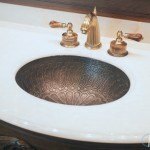 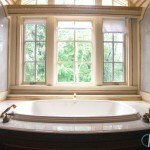 The marble curves around the sink and gives dimension to the dark cabinetry. 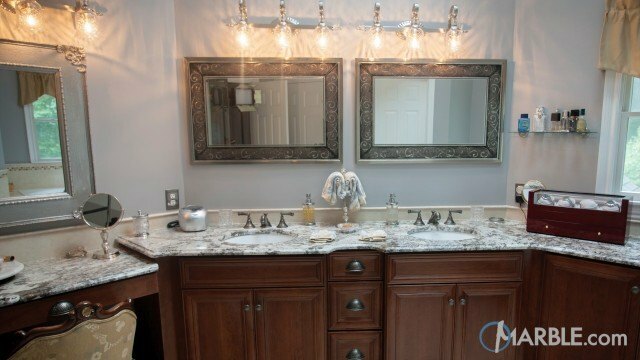 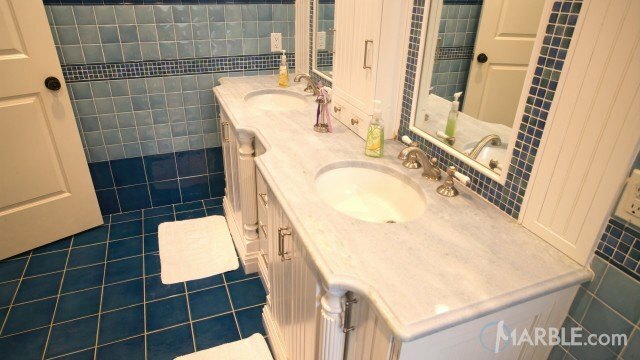 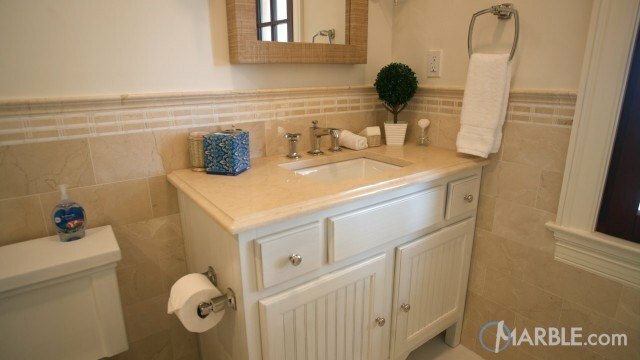 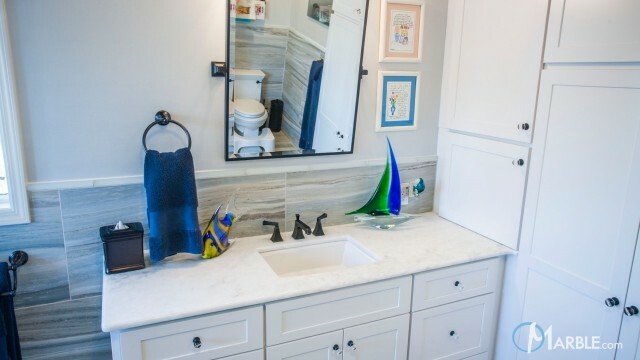 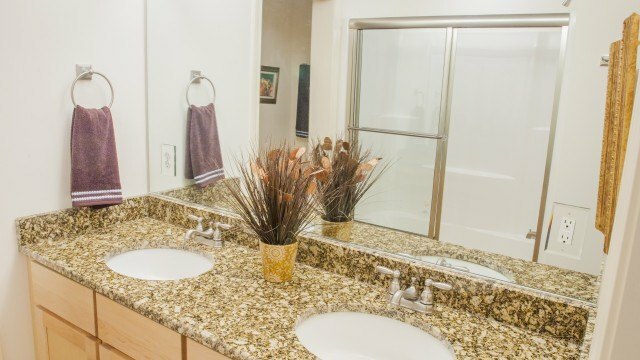 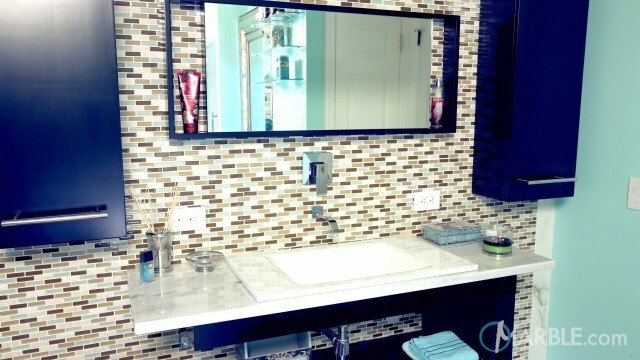 A large mirror over the sink makes the room seem much larger.